A screenwriting pair lost their lawsuit against David Jaffe and Sony for copying their screenplay idea in the story of the first God of War. Two screenwriters, Jonathan Bissoon-Dath and Jennifer Dath, claimed that they began submitting treatments and screenplays, as well as a map, about a story involving Sparta attacking Athens and the Greek gods. They sued Sony, and David Jaffe in particular as lead designer of the first God of War game on the PS2, for taking their story and using parts of it in the plot of the game. In a lengthy decision, Judge Marilyn Hall Patel ruled that Sony had not infringed on their copyrights and that basic story ideas are not covered by copyright law. Judge Patel needed to consume the two pieces of content in order to see if God of War used substantive parts of the plaintiffs' works. I don't think that the judge whipped out her PS2 in her chambers and played the game wearing her robes, despite that being a great image. She most likely relied on descriptions and expert opinion, but the detail with which she refutes the plaintiffs' suit in her opinion is actually quite amazing. For example, Judge Patel states that the protagonist in the two works are not even close to being the same. "Plaintiffs' protagonist is generally non-violent and kind, as illustrated by his refusal to the kill the Nemean Lion and tendency to leave enemies merely unconscious rather than dead," Patel said in her decision. 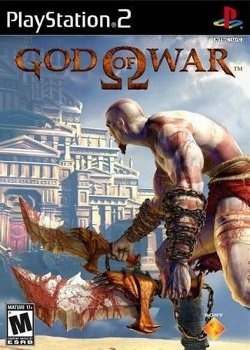 In contrast, "Kratos [of God of War] is disturbingly prone to violence and does not hesitate to kill. Kratos is a tragic figure reviled by most individuals he encounters. A trapped fisherman, for instance, 'would rather die than be saved by' Kratos." So Sony and David Jaffe, whose testimony is mentioned in the decision, got off scot-free and the suit was dismissed. Still the decision is a great read for anyone interested in God of War, derivative works or copyright law.